Mazda 6 is a sporty mid-size car. The 6 comes as a sedan, hatchback or a sleek-looking wagon; with a 4-cylinder or V6 engine. The wagon comes only with the V6. For stick shift enthusiasts, a manual transmission is available in both 4-cylinder and V6 models. Inside, the 6 feels sporty and sharp. Front seats are comfortable. The visibility is good all around. The BOSE audio system with the subwoofer, available in top models sounds excellent. True to its sporty image, Mazda 6 delivers a great driving experience, especially on the highway. The ride is comfortable too. Is a used Mazda 6 worth considering? Will it be expensive to keep? What are the common problems? Read on. 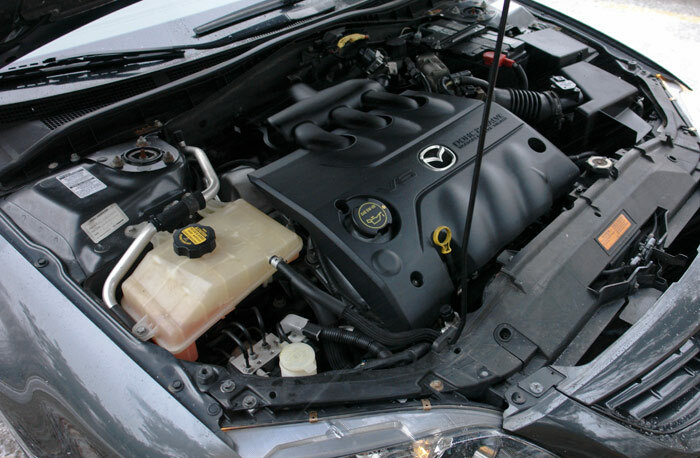 Powertrain: The 4-cylinder 2.3L 160-hp DOHC is a very good simple engine. It has a timing chain and with proper maintenance shouldn't give you too many problems. The 220-hp 3.0L V6 is known for minor oil leaks, but otherwise is very reliable too. It's also equipped with a timing chain; there is no timing belt to worry about. Transmission choices include a five-speed manual and a four- or five-speed automatic. Late models have a 6-speed automatic. Handling and Performance: As we already mentioned, the Mazda 6 handles very well thanks to its sporty suspension. The ride is smooth and quiet, yet you still have excellent road feel. The steering is precise and responsive, with a well-defined center position. 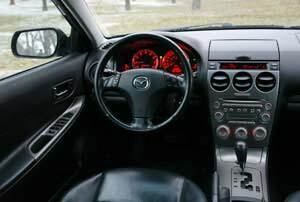 Mazda 6 is one of those cars that is very comfortable on long highway trips. The one thing that could be better is the turning radius, which is quite large: 38.7 ft. curb to curb. Pros: Sporty styling, sharp interior, excellent handling, comfortable ride, comes as sedan, sporty hatchback or wagon, available Bose audio system, affordable price, available with a manual transmission. Cons: Fuel economy, turning radius, poor crash test scores without side airbags. 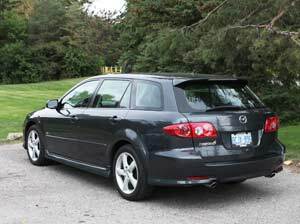 Fuel Economy: According to the EPA, the 2007 4-cylinder Mazda 6 sedan is rated at 21/28 mpg or 11.2/8.4 L/100 km city/highway, which means you can get roughly 414 miles or 660 km to a tank. 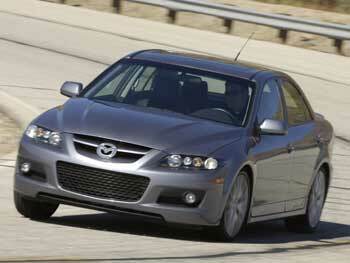 The 2007 Mazda 6 V6 automatic gets 17 mpg city, 25 mpg highway (13.8/9.4 L/100 km). The Speed6, although very rare, should not be overlooked if your are looking for a fast reasonably-priced sports car with all-wheel drive. Mazdaspeed6 comes only as a sedan; it's equipped with a manual transmission and a turbocharged 274-hp 2.3L direct-injected (DISI) engine. The 0 to 60 time is 6.2 seconds. Overall, it's an excellent car to drive, however expect to pay more for maintenance. The turbocharged engine is also very sensitive to lack of regular oil changes or poor oil quality. You'd be well advised using premium synthetic oil to avoid problems. Read also: Should you buy or avoid a turbocharged car? Mazda 6 overall: Although not the most spacious or fuel efficient in its class, Mazda 6 offers a unique combination of sporty styling and handling with reasonable maintenance costs and should not be overlooked. Among competitors, Ford Fusion is the closest, as it rides on the same platform and is equipped with the same 4-cylinder and V6 engines. Toyota Camry is roomier and offers softer, quieter ride, although it's definitely not as sporty. Honda Accord is better on gas and more reliable, although it's also more of a family sedan than a sporty car. Nissan Altima is somewhat similar, although not everyone likes its continuously-variable transmission (CVT). Chevrolet Malibu is less expensive, but its reliability records are poor. 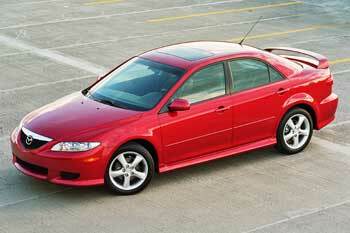 Acura TL is another mid-size sedan that is sporty and reliable, but it is more expensive. 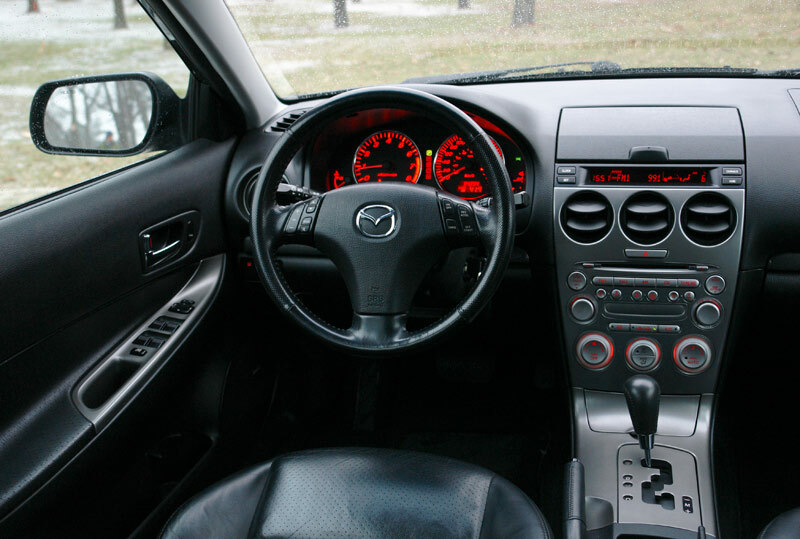 Read about common problems and what to look for in a used Mazda 6 on the next page.